"Can one girl win a war? I would like to thank Stillpoint Digital Press & NetGalley for a copy of this e-ARC to review. Though I received this ebook for free, that has no impact upon the honesty of my review. Kano Murasaki, called Risuko (Squirrel) is a young, fatherless girl, more comfortable climbing trees than down on the ground. Yet she finds herself enmeshed in a game where the board is the whole nation of Japan, where the pieces are armies, moved by scheming lords, and a single girl couldn't possibly have the power to change the outcome. Or could she?" Absolutely engrossing, this story grabbed me from the very start. Replete with vivid details, gorgeous descriptions, and rich emotions, this is the beginning of what looks to be a tale well worth the telling. Risuko is an exceptional character, with a rich inner life, and all the challenges you'd expect, plus more, in her daily life. Swept away from her family and all she's ever known, thrust into unusual and difficult situations on a regular basis, still she holds her personal integrity and sense of self - even when she isn't at all sure who she really is. Learning about Risuko's new life with her is a rewarding experience, and I'm already anxious for the next part of her story. But Risuko isn't the only character in this story, and the others are just as well crafted. While I didn't learn as much about all the other players on the board, they were smoothly positioned and each had at least one hook that pulled me toward them, increasing my desire to know about them as well. It seems fairly clear that many of these characters will play much more prominent roles as this tale unfolds, and I, for one, greatly anticipate discovering who will become powerful players, and who will fade away. Mr. Kudler has envisioned and created an intensely interesting world, a world in which he managed to put me into Risuko's shoes while still allowing me to see the larger picture that is not yet visible to her. That is an exceptional feat, and one which I am grateful to have experienced. 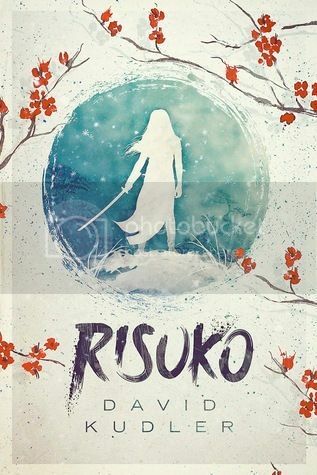 Having Risuko's inner turmoil mirror the external turmoil taking place in Japan is a blessing for the reader. Thus far the arc of the story has been perfectly matched to both the development of the characters and the placement of the action. He has managed to propel Risuko forward into a world that both intrigues and repels me. That takes skill, and a deft touch. Both of which are very visible in this book. Now, where's the next part of the story already? He serves as publisher for Stillpoint Digital Press. 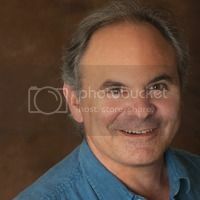 Since 1999, he has overseen the publications program of the Joseph Campbell Foundation, for which he has edited three posthumous volumes of Campbell's previously unpublished work (Pathways to Bliss, Myths of Light and Sake & Satori) and managed the publication of over fifty print, ebook, print, audio, and video titles, including the third edition of the seminal The Hero with a Thousand Faces. The story is also replete with information about Japanese dress and mixed (Japanese and Korean) food that makes for enjoyable reading. Read this delightful story with the gorgeous cover and enjoy the adventure, wisdom and light spirit threading its fascinating pages. Delightfully told and crafted!